I started blogging a few weeks after Jon and I returned home from our honeymoon 6 years ago as a way to keep a journal of our lives as a newly married couple and then our growing family in the future. I love having my own little corner of the internet to share my thoughts, what is going on with our family, recipes I make and love, encouragement for other mamas and wives, and a bunch of other random things I used to blog about. As much as I love my blog, I take approximately 1 trillion pictures that don't ever make it on there that sit in organized folders on my computer. My big sister gave me the idea a few years ago to make a "family yearbook" each year. Genius! I started in 2013 chronicling most of my pregnancy with Ford and the first 4 months of his life. Fast forward 3 years later, I just completed and printed our 2016 family year book, our 4th book. Ford has always been so intrigued and enjoyed looking at our family yearbooks and yesterday he took our 2016 one in the car with him. It is incredibly to look back and see where 2016 started and how it finished. A house flood, a new job for Jon, a failed adoption, Gideon, what a whirlwind. I wanted to share a little bit more about our family yearbook because I know how many people were in my same boat a few years ago.... you have a billion pictures and nothing to do with them. No one prints out photos anymore unless they're to frame and thanks to Smartphones, I pretty much have a picture of my kids from every single day of the year. It's no secret that I love Shutterfly (we used them for our adoption profile books and Christmas cards) and their photo book interface is pretty much my favorite! I haven't always used them and remember in years past being so stinking frustrated with how slow other companies tools were and how long it would take me to create my books. 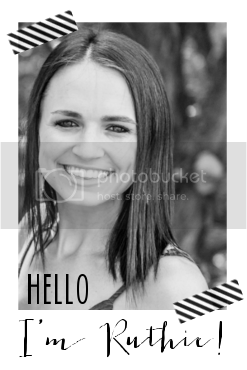 Shutterfly's interface has so many layouts, colors, text options and best of all.. it is FAST! I don't have to wait 10 minutes for photos to upload and I can even edit photos as I upload them (crop, lighten, etc). If you know me in real life, you'd know that I am slightly OCD when it comes to organization and have my pictures filed in folders based on activity, month, and year. So when I upload photos from a visit to the zoo, I would label it 1- Zoo Visit (meaning we went to the zoo in January) and stick it into the 2017 folder. I also upload my iPhone photos once or twice a month and make separate folders for those. I create my yearbook in chronological order so taking the extra few seconds to organize my photos makes it SO easy to make my book. I also try to work on my yearbook once a month or every other month to lighten the load. The first year I made a yearbook I did it ALL in December and it took me hours and hours and I was mentally exhausted. My sister and I will text each other every so often as a reminder to work on our books, yep we are a little OCD! Shutterfly has amazing deals ALL.THE.TIME so I be sure to order when I can maximize my coupons (50% off, free shipping). I love following Shutterfly on Instagram to make sure I know about their latest deal (and little tidbit, every so often they will post about FREE products... free deck of cards, free coffee mug... no purchase necessary!). And because my book is almost always 100 pages, the maximum number of pages, I pay extra for the lay flat pages making the book sleek and easy to look at. So if you're looking for a way to capture and keep family memories without printing a million pictures, start a family yearbook in 2017! I love this idea SO much! I second Tiffany's comment, what to do with videos on your phone? I don't know what to do with mine or how to save them, so they stay on my phone and take up storage! :) One of my goals this year was to make more photobooks of events, but I think I love the idea of one big yearbook! Love this idea! We use groovebook to print photos off my phone each month, but that's mostly so something happens with all those cell phone pictures I take. Nothing ever seems to happen with all my "real camera" pictures though. Random fact, I organize our pictures on my computer the same way as you!